Discover how to deal with the ugly side of paid media and how to get more site traffic. How do you deal with the negative side of social media marketing? In this episode I’m going to give you some advice around dealing with Facebook comments, I’m going to share with you a great technique to get a whole bunch of traffic to your website, and I’ll share some software tips. When you use Facebook marketing you will get people who hate you. It’s bizarre, but online people get really powerful behind the computer, and it’s not like in real life where you’ll be driving down the freeway and then we see a billboard and we would scream abuse at a paid ad, or if we’re sitting there watching television we don’t just hurl out a torrent of abuse, swear words in all caps when someone puts an advertisement on TV. But for some reason when people who are on the free Facebook – if they see your sponsored ad and they don’t like it they just start hurling abuse and a torrent of bad things. Remember it’s reflecting how they feel about themselves and it’s not necessarily about you. So provided you’re targeting well and doing the best you can, just remember you will get a few lunatics per thousand people out there. Just ban them from your page, delete the comment, and move on with your head held high. Okay, how do you get a massive amount of traffic to your website? In anything that you record whether it’s an audio or a video, mention somebody. And then after you finished the recording, send them a link to the recording and say – you get a mention in this recording. I know when people mention me I go and Tweet it or Facebook it or mention it in another video. I do this all the time and also I mention other people and I tell them when I mention them, and they send me traffic. I did a great podcast with Chris Farrell and he mentioned it to his audience and I got to meet a whole bunch of his friends, and his friends were really nice people so it turned out to be a good strategy, so that’s my tip for getting traffic. Okay in software tips. My first software tip is Wistia have introduced their turn style opt-in now to work with the popular auto responders which is great. You can now show an email opt-in before, during, or after a video and integrates with all the popular email providers. This is a big step, well done Wistia. The best feature about this is that once someone’s opted-in – if they come back they don’t get asked again to opt-in. My next tip is on your computer. If you have Windows7 or a modern Mac you probably have dictate to speech. It’s free and it’s a great way of speeding up the amount of content that you produce, you can actually just talk to your computer and it will type for you and it’s very accurate if you use a high quality microphone. My third software tip is “forms.” If you’re making forms on your website and you want it to populate and get you results and automate and leverage things, then if you want a hosted solution on your website then use Gravity Forms. If you want someone else to host it then you want to have Google docs or SurveyMonkey. I like Google docs and it works really well on mobile phones and it’s got a lot of the features that are used to be paid features on Survey Monkey. It’ll fill out a nice spreadsheet for you and it’s really easy to use. So I hope you’ve enjoyed these tips. I’ve certainly enjoyed delivering them to you, almost as much as my camera person has enjoyed holding this iPad for the entire conversation, so I’ll catch up with you in a future tip. I’m James Schramko, speak to you soon. Jake Hower and I were just chatting this morning about the Facebook haters. This one is jut for them. They are out there! OK so I decided I’d get a little bit of payback on this subject and wrote this post http://typicalbusiness.com/facebook-sponsored-story-haters-spammers/ – I hope it gives you a laugh James. I found it cathartic. I really enjoyed that Steve thank you !! There are Haters everywhere. It is not a considered opinion, view or outlook that demonstrates they are not part of your community, it is just ugly. Love the top tips (and now about to apply one of them) – oh, and enjoyed the “outtakes”. Looks like Ayala Triangle in Makati (the park near Greenbelt Plaza). They are just unhappy trolls in another guise and they are absolutely everywhere! Fantastic Video News update thanks James. Lots and lots of practical goodies in this one. Your looking fresh and happy, love the added Scenary and Manilla Gate Files with the family. Keep up the great Content and Actionable Tips. It’s the wackos that make me nervous…Melissa got one in Florida basically saying that he was fresh out of prison and was in the neighbourhood and wanted to know where she was to meet up lol, great line. Hi Tim, Yes I changed my comments – I ditched Facebook (irony). I’m owning the racecourse and making it easier for users with one system. Plus I want to moderate and reply to comments. With Facebook someone pops a link off to something irrelevant when I am not looking! I’ve only just discovered you James, and I’m so pissed that I didn’t find you sooner. Now I’m scrambling to go through your massive amount of content. All great stuff! Love the videos. Thank you Fernando. Where did you find me? Fantastic tips and advice in keeping with your accustomed quality. By the way in regard to your appearance on video and our previous conversation – you no longer look scruffy and casual – you look clean-cut and casual – for me that is the optimum presentation for this type of work. 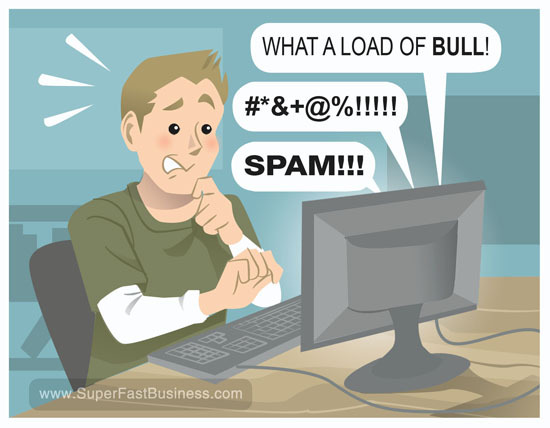 It is morons who dont understand what spam is who ruin facebook. Loved the scenes of Manilla. Facebook haters are weird! You said it, strength comes when someone is behind their computer.